Did you know there are 25 attractions without any height requirements at Magic Kingdom Park at Walt Disney World? To get your little ones ready for your vacation, here’s a helpful guide showing Magic Kingdom height ranges for attractions and rides. Contact me for details on how I can help you plan while saving you money on your vacation. Click here for more information regarding Disney vacations. “Disney Forever” fireworks coming to Disneyland for the 60th anniversary celebration. Celebrating 60 years of magic, ‘Disneyland Forever’ is one of three new nighttime spectaculars which will immerse guests in the worlds of Disney stories like never before. This photo depicts a demonstration of new projection technology planned for the upcoming fireworks spectacular, which will transport Guests into the worlds of beloved Disney and Disney-Pixar films through traditional pyrotechnics, innovative projection mapping technology and surprising special effects. The Diamond Celebration at the Disneyland Resort begins Friday, May 22, 2015. ‘Paint the Night’ is one of three new nighttime spectaculars which will immerse guests in the worlds of Disney stories like never before to help celebrate Disneyland’s 60 years of magic! The Diamond Celebration at the Disneyland Resort begins Friday, May 22, 2015. Mack from the Disney●Pixar ‘Cars’ films is one of the characters featured in the all-new after-dark spectacular Paint the Night parade, coming to Disneyland for this year’s Diamond Celebration, kicking off on Friday, May 22, 2015. Tinker Bell gathers all of her pixie dust to paint the night in the new nighttime spectacular Paint the Night parade, coming to Disneyland for this year’s Diamond Celebration, kicking off on Friday, May 22, 2015. Enjoy Disney’s Grand Californian Hotel & Spa while celebrating Disneyland’s Diamond Celebration this summer! Contact me to book today! Enjoy this wonderful photo of Dumbo in the new Fantasyland in the Magic Kingdom park. It makes me want to get my feather and fly….right to Walt Disney World! Reserve your cabin now as these cruises will fill up fast! May the Force be with you! 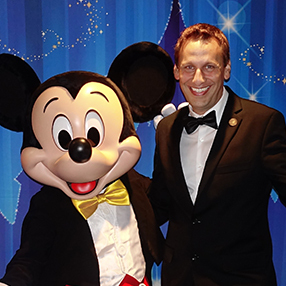 Post by Shani Wolf – Independent Travel Consultant for Disney Destinations. Traveling with kids? Here is a super tip from Money Saving Mom! Post by Money Saving Mom.